Ever searched for a lost gadget in the kitchen drawer Keep all your opening needs in one place instead. The OpenStation Can Opener opens everything from cans, lids, bottle tops, and even hard-plastic packages. OpenMate multi-tool opens hard-plastic packages, pop-top cans and removes bottle caps as well as twist-off caps. Nonslip-grip jar opener easily loosens jars and stores on top of can opener. SureCut action opens cans on the first try every time. Removable and washable cutting unit. Marketing Information: Ever searched for a lost gadget in the kitchen drawer Keep all your opening needs in one place instead. 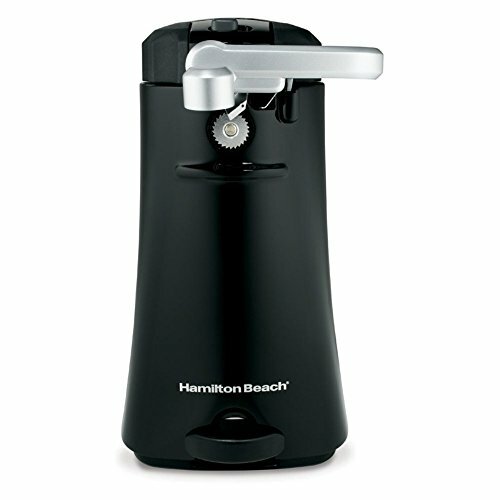 The OpenStation Can Opener opens everything from cans, lids, bottle tops, and even hard-plastic packages. OpenMate multi-tool opens hard-plastic packages, pop-top cans and removes bottle caps as well as twist-off caps. Nonslip-grip jar opener easily loosens jars and stores on top of can opener. SureCut action opens cans on the first try every time. Removable and washable cutting unit.